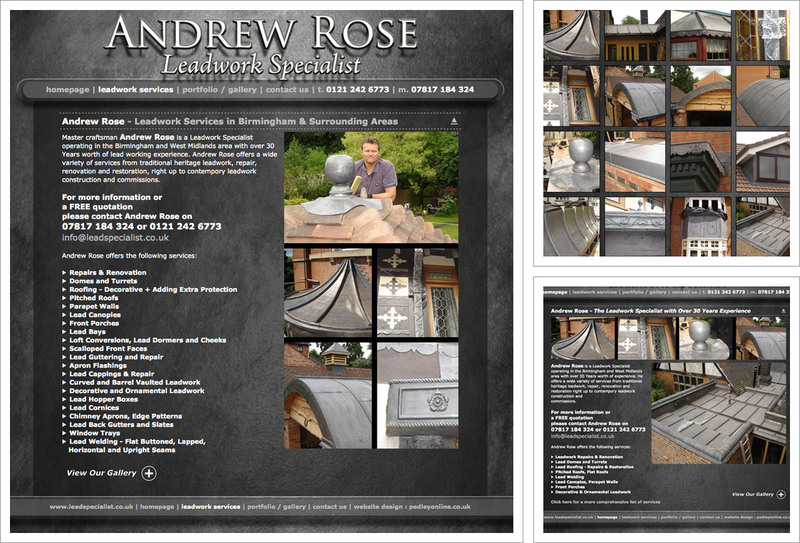 This website was created for Birmingham based master craftsman Andrew Rose. We initially worked with Andrew to create a new logo for the business and worked hard to keep a traditional feel to the design. Once the logo was in place we moved on to discuss the website content, layout and purpose. As well as attracting traffic and enquiries, the website’s key function was to explain to customers exactly what Andrew can do. The website includes a gallery of Andrew’s work, the services he provides and a secure online contact form.